Getty, Ian A.l.. "Walking Buffalo". The Canadian Encyclopedia, 28 May 2018, Historica Canada. https://www.thecanadianencyclopedia.ca/en/article/walking-buffalo. Accessed 20 April 2019. Walking Buffalo (also known as Tatânga Mânî or George McLean), Stoney-Nakoda leader, Indigenous statesman, philosopher (born on 20 March 1871 in the Bow River Valley near Morley, Alberta; died on 26 December 1967 in Banff, Alberta). 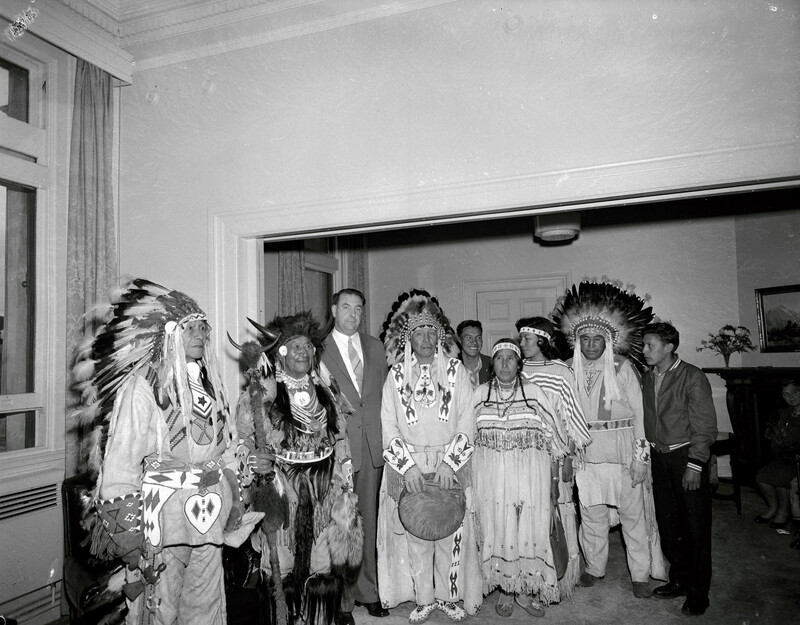 Moral Re-armament Group with Chief Walking Buffalo (pictured second from left), 29 March 1960. Walking Buffalo was present at the signing of Treaty 7 (1877) and became the most famous protégé of the Methodist missionaries John McDougall and John McLean. 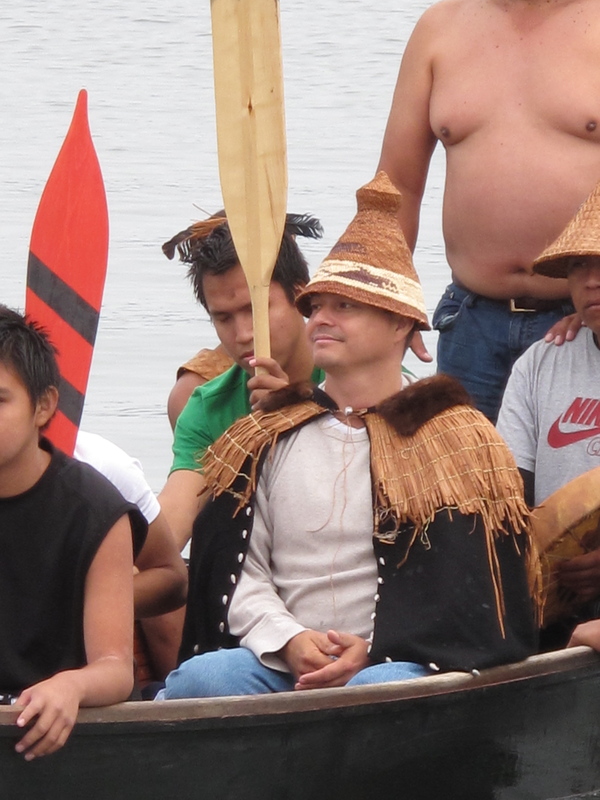 He witnessed the disappearance of the bison, the building of the CPR and the evolution of tribal lands into provinces. Educated at the McDougall Orphanage at Morley and in Red Deer and Winnipeg, he worked briefly as a blacksmith and as a scout for the North-West Mounted Police, then as an interpreter. He was councillor for the Bearspaw band of the Stoney-Nakoda (1907-12) and chief (1912-16). Active in the Banff Indian Days and the Calgary Stampede, Walking Buffalo was a leader in the Morley United Church. Attracted to the moral rearmament movement in 1934, he was an ambassador for world peace until his death.